Glasses intended for all generations and all purposes can be stacked so we can downsize without compromising on design. When designer Grethe Meyer and artisan Ibi Trier Mørch created their Stub glassware range in the late 1950s, the architect duo made design history in a number of ways. 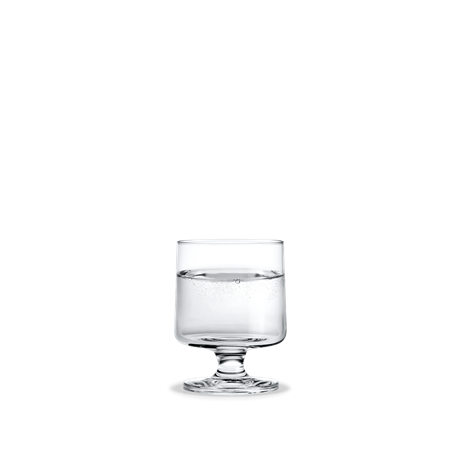 Stub’s low-stemmed, stackable form gives it a unique style even today; at the same time, Meyer & Mørch managed to put the zeitgeist into a design formula for a drinking glass that epitomised contemporary lifestyles. The dining kitchen was increasingly replacing the dining room as the heart of the home; mealtime rituals became more informal; dinnerware went from oven to table, and all of a sudden the same glass could be used for everyday living and special occasions. Today, a casual, urbane lifestyle is a natural part of our daily lives and, at the same time, we focus on functionality, storage and downsizing. 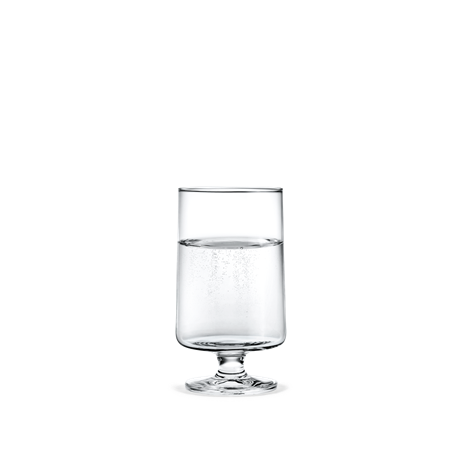 These values are deeply rooted in Stub’s design DNA, and are also behind Holmegaard’s decision to relaunch two versions of the multifunctional, stackable drinking glasses, where one size fits all.